Ishtar is a database project for managing archaeological data and documentation (including archaeological finds) from archaeological operations, published as a free software under AGPL 3.0 or any later version license. Ishtar is in constant development. Ishtar is a participatory project, so do not hesitate to share your needs on the forum and we'll see what we can do! The aim is to ensure maximum traceability of the information, in order to make this documentation live and make it even possibly accessible to the public or to user groups. This software is intended to be installed on a web server but can operate locally, at the scale of an excavation site, a town or an entire region. Designed to enable inter-database communication, the Ishtar project aims rather to a distributed information model than a centralized one: communication between the databases is favored. 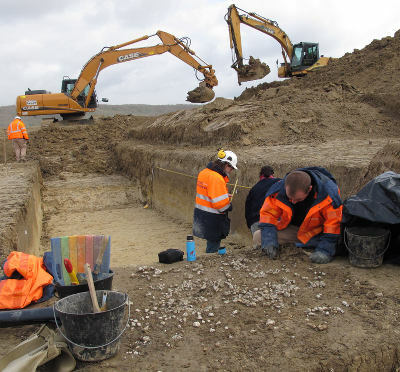 It is organized around a common core associated with modules linked to specific professional needs: administration of operations and inventories, archaeological warehouses, treatments related to restoration laboratories, advanced stratigraphic analysis, QR-code labeling, etc. Multiple levels of users are possible, from a public access (or not) to access for researchers, operations managers, warehouses managers, GIS connection, etc. 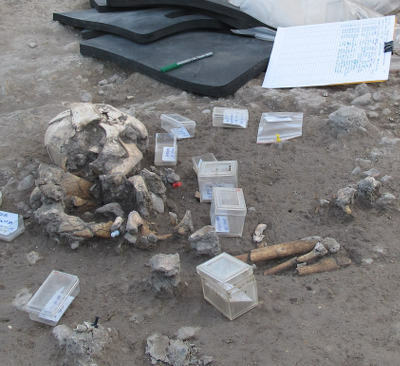 The project resulted in the release of a version 1 at the beginning of 2017 (fully fonctional version, with management of files, operations, record units, archaeological finds, finds treatments, archaeological warehouses). A version 2 is currently in development, with the re-enineering of the source code in order to use newer libraries, and the re-design of the graphical user interface to made it responsive. Crédits photo Yann Le Jeune ou domaine public. Ce site utilise Pelican. Ishtar is a database project for managing archaeological data and documentation (including archaeological finds) from archaeological operations, ensuring maximum traceability of the information, published as a free software under AGPL license.